Martha Stewart Dutch Oven Just $39.99! Down From $180! PLUS FREE Shipping! You are here: Home / Instagram / Martha Stewart Dutch Oven Just $39.99! Down From $180! PLUS FREE Shipping! Your go-to for getting it done right in the kitchen, this versatile round dish is perfect for baking casseroles, browning meats and much, much more. The heavy-duty construction distributes heat evenly, locking moisture in to slow-cooked stews and braised roasts. 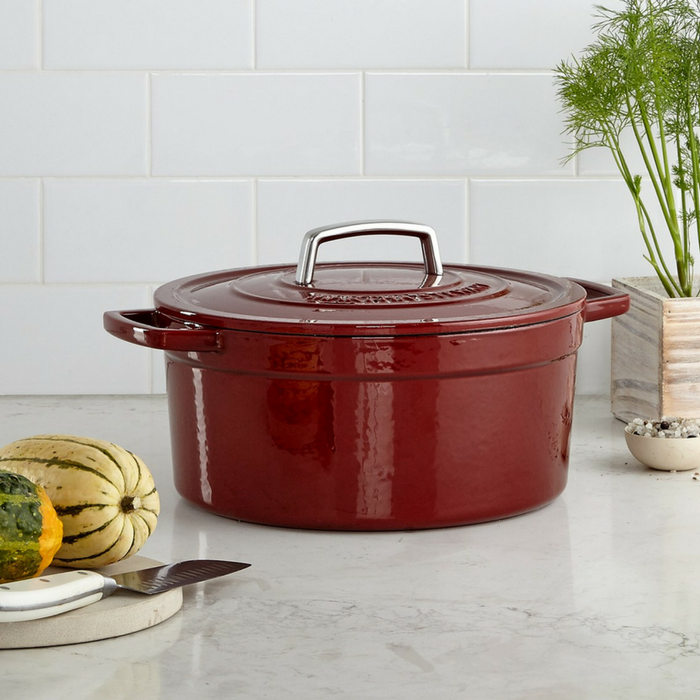 From prep to presentation, this attractive enameled cast iron pot goes with ease, featuring generously sized handles for a secure, confident grip. Click on the video in the photo today! Get great tips & tricks of the trade!